Delight candy lovers with these handmade fruit sweets from La Maison du Chocolat-the legendary Parisian confectioner. 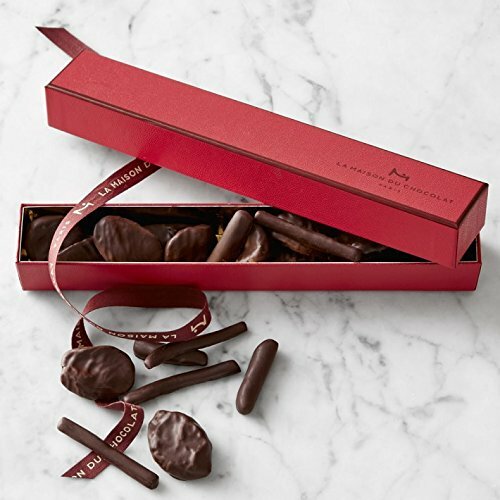 Crafted using traditional European techniques, each artisan treat showcases the finest dried fruit, richly enrobed in premium dark chocolate. Fruit centers include apricots, orange sections, candied orange peel, candied ginger and dried plums. These confections are beautifully presented in one of the celebrated French shop's signature gift boxes. If you have any questions about this product by La Maison Chocolate Covered Fruit, contact us by completing and submitting the form below. If you are looking for a specif part number, please include it with your message.